Ridesharing Services | Vanpool Manassas | 234 Enterprises, Inc.
Do you frequently sit through a long commute on your way to work? Ridesharing can be a great alternative for your daily travel needs. Contact 234 Enterprises, Inc. whenever you need safe and reliable ridesharing services in Manassas, VA to Washington, DC. We offer a convenient vanpool option that suits your needs. Save yourself from the hassle of dealing with irritating driving and parking-related problems. Share a ride now and experience worry-free trips to and from work. To join our vanpooling program, call or email us today. 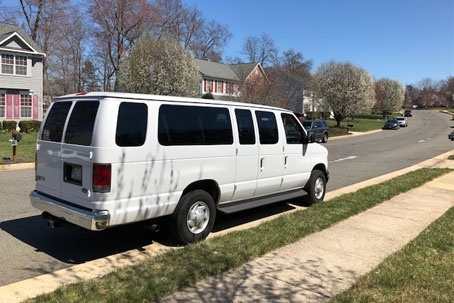 If you have any questions about our vanpooling services, don’t hesitate to reach out to us through the contact information listed on this website. You can trust our friendly and knowledgeable representatives to attend to your inquiries as soon as possible. We hope to hear from you soon!